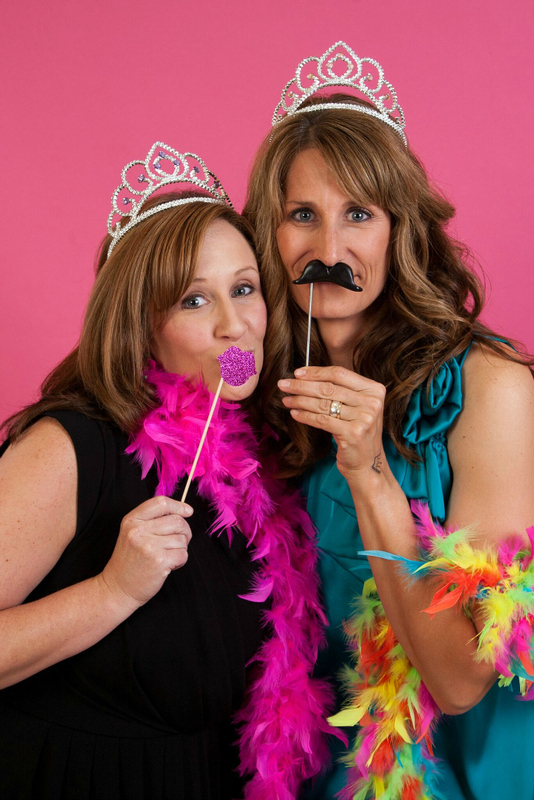 If you’re new to the NWA Mom Prom and don’t know what to expect, we’ll fill you in on the details here. 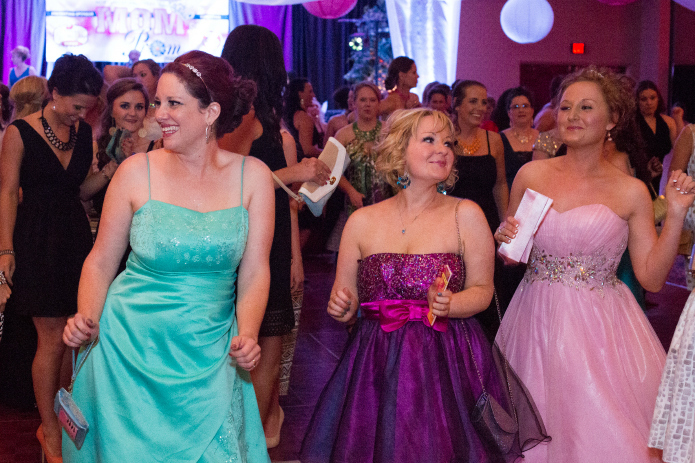 The main thing to know is that Mom Prom is an all-girls dance party for women age 21 and up. So if you like to dance with your friends, you’re going to LOVE it. We play a WIDE range of music, including today’s most popular songs as well as songs we loved in college and high school. (A little 80s, 90s… and plenty of fresh favorites, too.) Our DJ, Frankie Magallanes of Dancenhance Entertainment, is AWESOME. He’ll do his best to play your requested favorites, and he has been known to jump down on the dance floor to teach a few line dances, too. FLASH MOB: For those who want to join in, we also do a Flash Mob during Mom Prom. Here’s how it works: Learn the moves shown by our fearless Zumba teacher and volunteer choreographer, Kelsey Lee. (Thanks, Kelsey!) When the music plays, just jump on the dance floor and join the Flash Mob. It’s FUN but totally voluntary. And don’t worry about forgetting the moves because Kelsey will be on stage leading the Mob, so you can always just follow along. 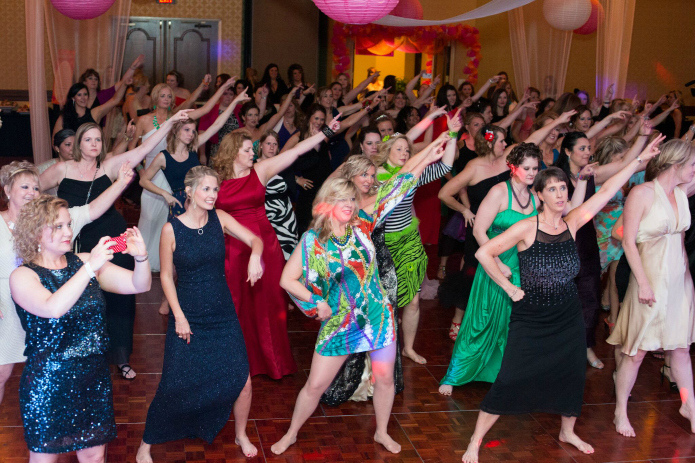 Here’s a video of Kelsey teaching the 2018 Mom Prom Flash Mob dance. If you’re nervous about remembering the moves, don’t be! If you forget a few moves, just look at Kelsey and follow along. This is a no-stress kind of dance party. 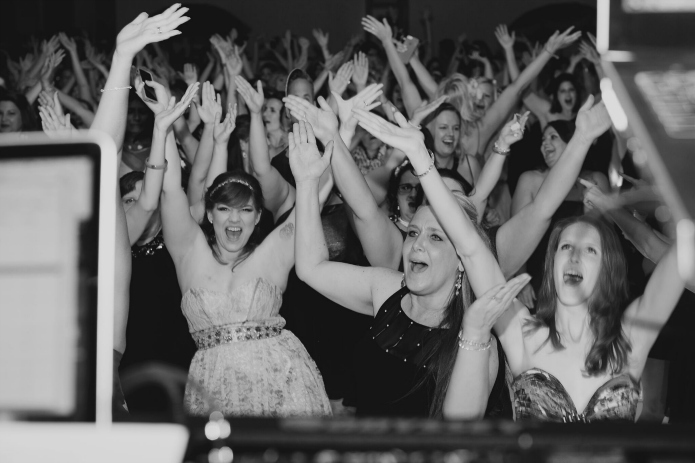 Here are a few more of our favorite dance shots from past Mom Proms. Mom Prom ladies love to DANCE! (Sometimes we even start singing when a song we love comes on, like in 2013 when we all sang “Don’t Stop Believing.” It was epic. Sometimes we even have a spontaneous performance, like when this mama did the dance from the Thriller video. We were all so amazed we just gathered around to watch. 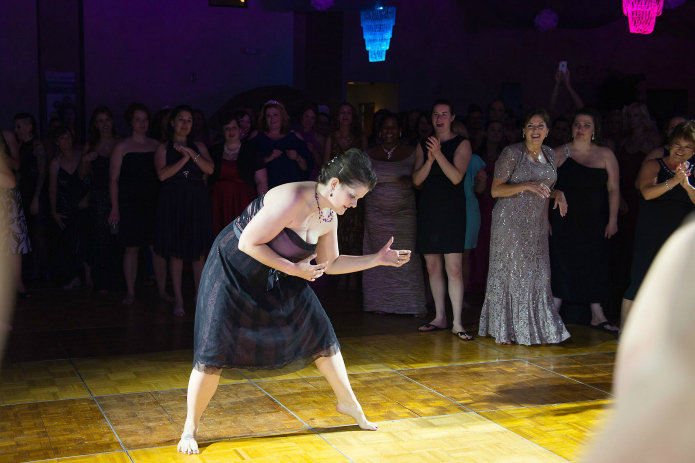 She has performed it for us every year since the first Mom Prom (even when she was pregnant!) Can’t wait to see it again in 2017. We also pose for fun pics with our friends. 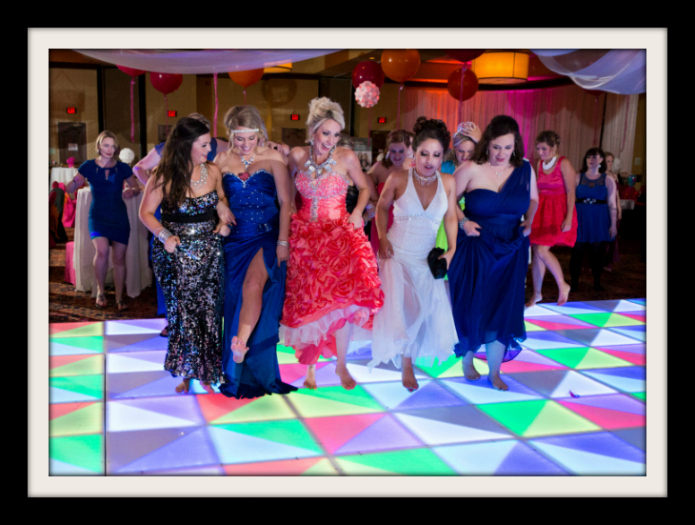 All shots are done by a professional photographer and are available for FREE download a few weeks after the Prom. 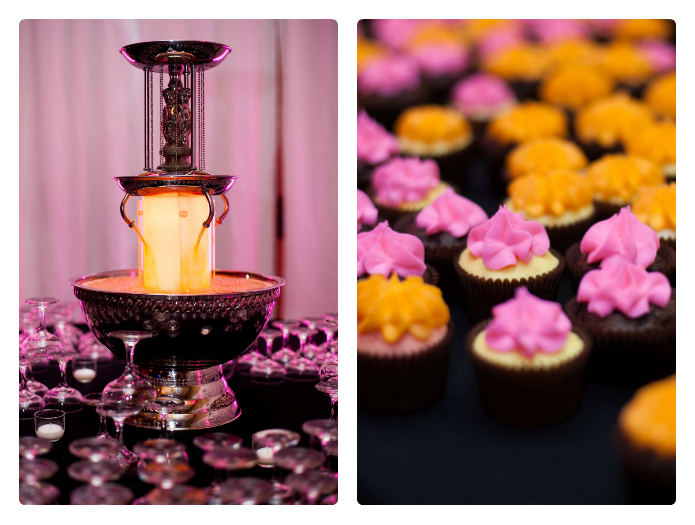 Whether you want to hit the punch fountain or the bar, there’s plenty to drink at Mom Prom. In 2018, we’ll have a dessert bar so be sure to eat dinner before you arrive. 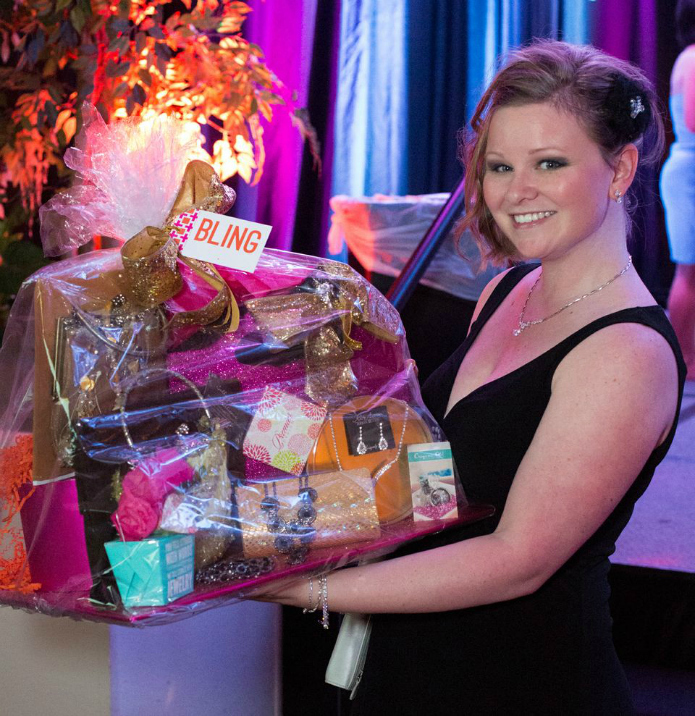 We have a Mom Prom raffle with awesome prizes. Some packages have been worth more than $300! Raffle tickets are $2 each and proceeds go to charity. 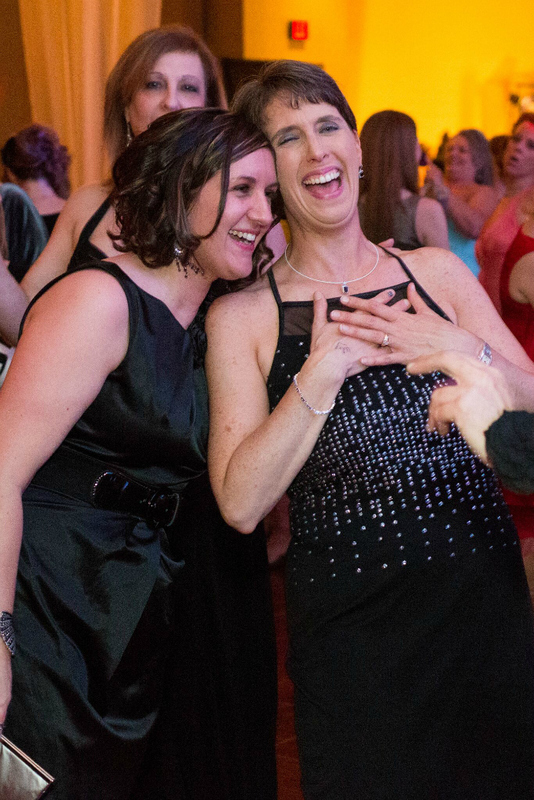 We laugh a LOT at the Mom Prom. This is one of our favorite pictures ever. 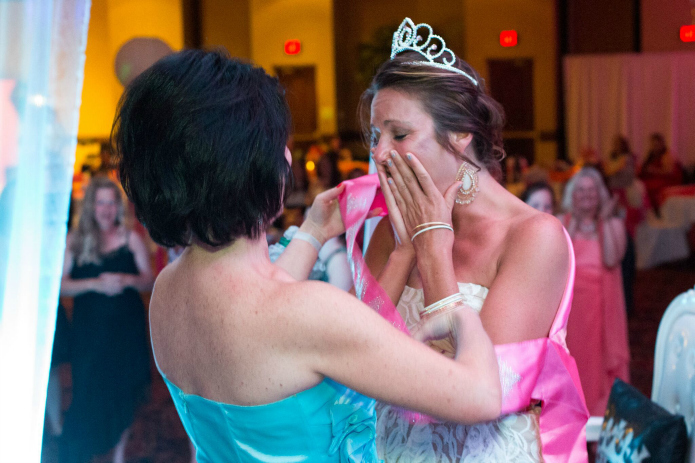 We always crown a Mom Prom Queen. The Queen is chosen at random among ALL ticket holders, so anyone can win. 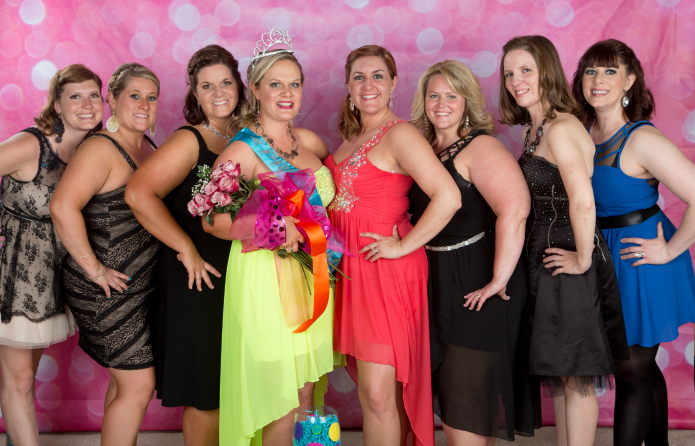 This year’s Mom Prom Queen Crowning is sponsored by Sam’s Club of Bentonville. Pictured above is our first Queen from 2013, Marie Starr. She was so surprised! Here’s the 2014 Mom Prom Queen Abby Ivy and her court of lovely ladies. 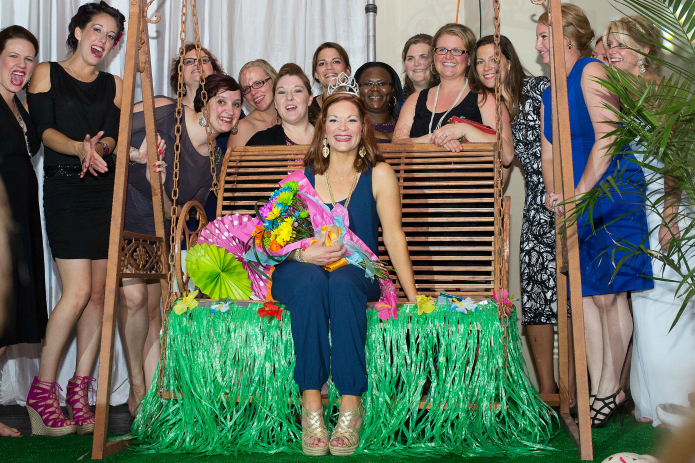 Here’s Hannah Liz Carter, NWA Mom Prom Queen of 2015 (when the Prom rocked a tropical theme.) The ladies in the Queen’s Court are friends that came with her to Mom Prom. Here’s the reigning 2017 Mom Prom Queen, Kori McDaniel! Isn’t she lovely? 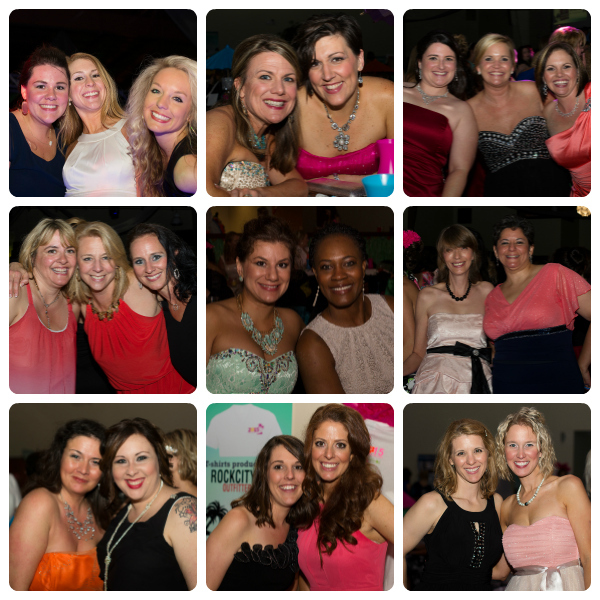 We bring our buddies and our besties and we relax, have dessert, dance, drink, win raffle prizes, pose for pics, and have the “Ultimate Girls Night Out” of the year. 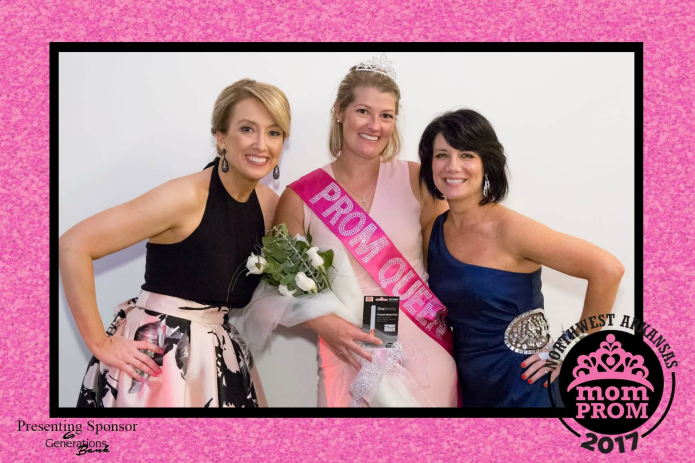 Join us for NWA Mom Prom 2018!